This delightful set is made of sandalwood, a highly prized aromatic wood of great beauty and texture. 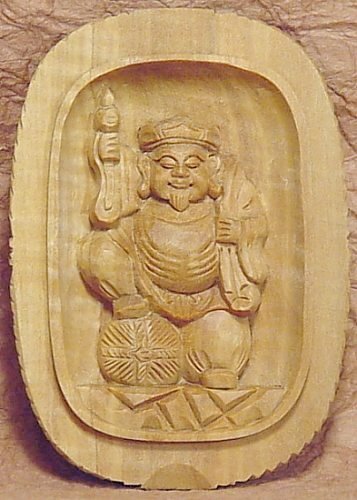 These two deities are often depicted together, with Daikoku considered the father and Ebisu the son. 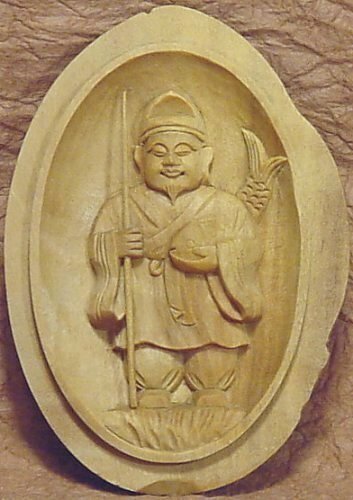 Artwork of the pair can be found everywhere in modern Japan, especially as members of Japan's Seven Lucky Gods. Comes with its own wooden box (made of boxwood) for safe storage and transport. 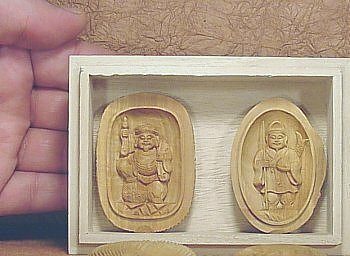 The names of both deities are written in Japanese on the box cover. Ebisu's outer covers are designed in the shape of a fish. 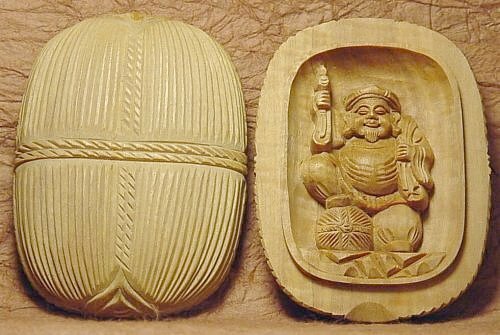 Daikoku's outer covers are designed in the shape of rice bales. 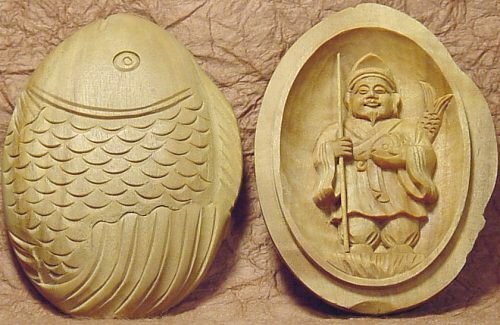 Size of amulets and protective box. Cover of the box in which set is stored.